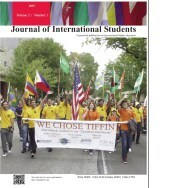 This study examined the relationship between acculturation modes (assimilation, integration, separation and marginalization), social support, and acculturative stress in undergraduate and graduate international students (N=104) at a medium-sized public university in the Midwestern United States. The study found that international students with broad-based social support and an Integration approach to acculturation experienced lower levels of acculturative stress. Implications for more effective counseling with international students are addressed. CHRISTOPHER SULLIVAN, PhD, LPC is a counselor in University Health, Wellness, and Counseling Services at the University of Missouri-St Louis. His research interests include counseling theories, with an emphasis on constructivist approaches and examining the impact of culture on individual and family therapy, with a special focus on cultural transitions, accommodations, and adaptations. SUSAN KASHUBECK-WEST, PhD is a professor in the Department of Counseling and Family Therapy and the Associate Dean for Research in the College of Education at the University of MissouriSt. Louis. Her research interests fall under the umbrella of multicultural issues, broadly defined, and include discrimination and stigma related to race and ethnicity, sexual orientation, and social class and their relationships to psychological distress and well-being.